Midwest operations - No HAZMAT endorsement required. Operating in a 600 mile radius of our Peoria, IL.location. Get 2,000 to 3,000 miles per week, be home every weekend and some weeknights. Ask about our sign on and referral bonuses! 12 Nights Out Driver – Home every other week! Class A CDL Drivers -- Home Daily out of Iowa City, IA! 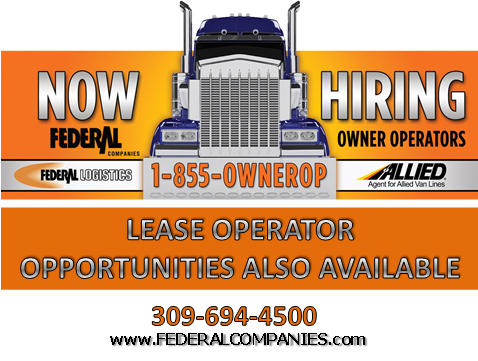 Owner Operators Needed! $3000 Sign-On Bonus!